Utility Markout is an absolute must before excavating anywhere. 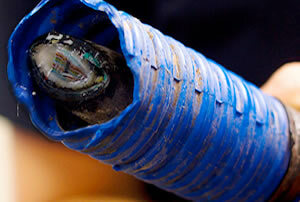 Damaged utilities are expensive to repair and can cause liability problems in the neighborhood of the work site. Dig Alert is fine but will only let you know where public utilities are. There are many things that might cause a problem if dug up, not just what the utilities have put in. 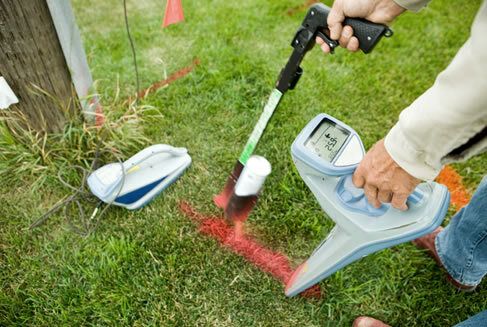 Using GPR to survey an area before digging ensures that no damage is done to any underground lines including gas and water lines, power lines, waste, communications, cable TV, sprinkler manifolds or systems, lighting systems and other buried items commonly uncovered during remodeling or repair of existing structures. Knowing the types and locations of underground utilities on your site is an important and cost-effective way to assure a safe and successful project. Successfully locating utilities is an art as well as a science. ART Locating Services provides cable & pipe leak detection and underground utility locating for business, government and residential clients throughout Los Angeles, San Diego, Riverside, Orange and Imperial counties. Don't let accidental utility damage cause your project to be delayed or incur additional expenses. Make sure before you dig.